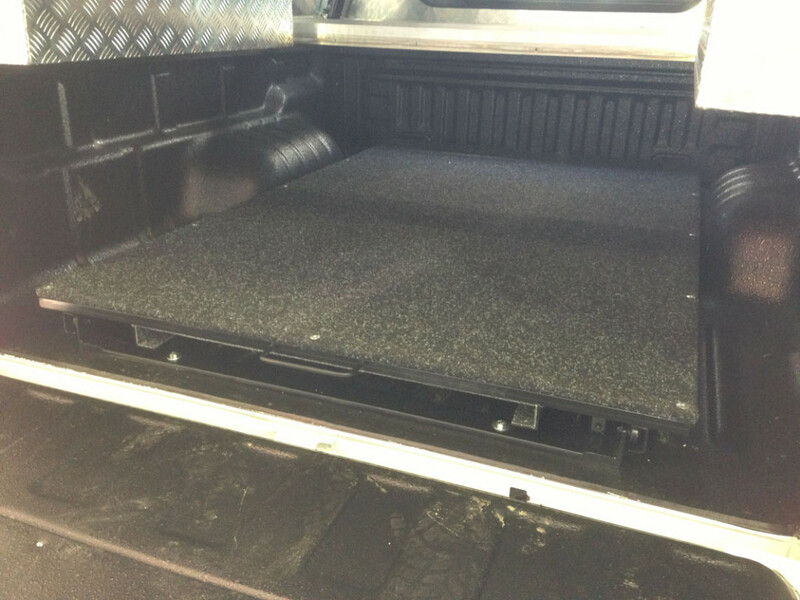 A deck slide is fitted in the load bin of a bakkie to make loading and unloading easier. It is a large wooden deck fitted on roller arms so that everything you pack on it, can be reached by just pulling the deck out. 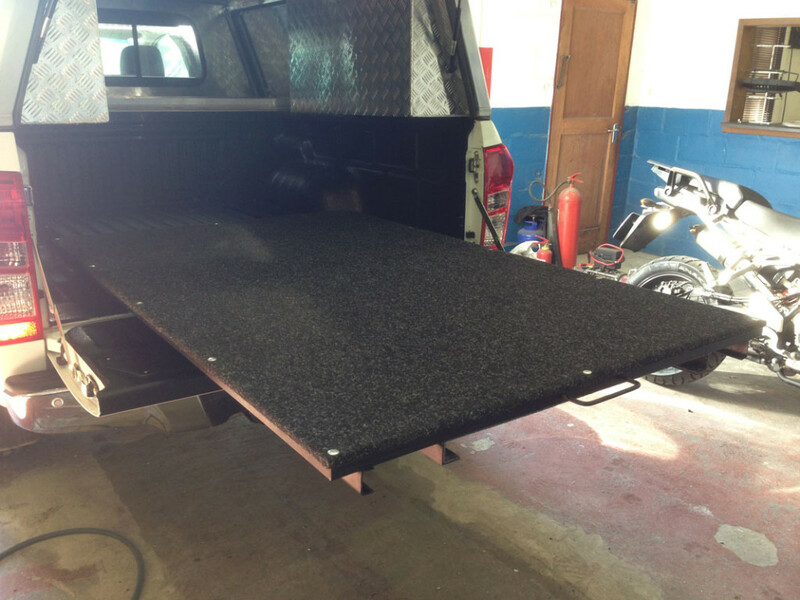 Our deckslides are made to fit standard bakkies, but can be custom fitted to yours. Contact us today to have yours fitted.